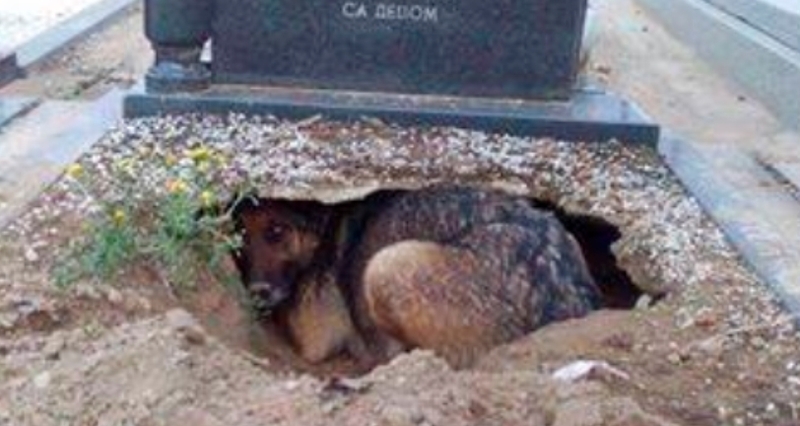 A heartbreaking photo shows a dog curling up to be closer to his departed person in a crevice he dug on a grave. The powerful image went viral on Facebook and brought an outpouring of emotion from animal lovers the world over. "This is so sad, yet, so true," one commenter wrote, "the unconditional love and bond this dog had for its human, breaks the heart, to see this. I hope there's someone in the family to continue to give it love." People have debated for centuries whether animals have and express emotions, but in recent years scientists have made discoveries leading them to confirm that human beings are not the only animals with emotional capacities. In 2012, a group of neuroscientists examined findings about neurological substrates in human and non-human animals and finally declared that animals, including dogs and farm animals, have consciousness and emotions. Anyone who has loved an animal, of course, already knows this. 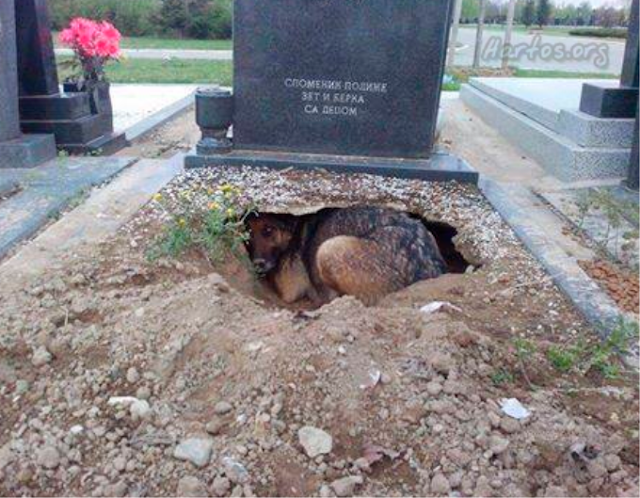 Responses to "Grieving Dog Curls Up In The Grave Of His Owner"